Jacob Bryant is one of those artists whose voice instantly pulls you in the moment you hear it. He strikes an emotional chord with every lyric, and each vocal stretch is always incredibly powerful—especially throughout Bryan’s new album, released on February 8. 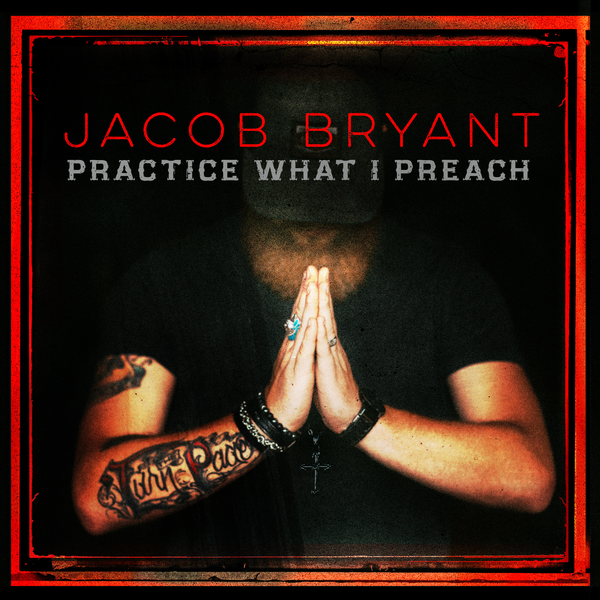 Appropriately titled Practice What I Preach, these 12 tracks are the most accurate representation of who Jacob Bryant is, both as an artist and a person. The 27 year-old chose Collective Soul lead guitarist Jesse Triplett, along with his manager Jeff Catton, to produce the new project, and the dynamic trio have crafted an album driven by wicked guitar riffs, booming percussion, and Bryant’s explosive vocals. Clearly inspired by the some of the best of both country and its neighboring genres, his full-length release balances the traditionalism he was raised on with the southern rock he thrives on, and still manages to let his softer side shine through. The music may lean heavily on guitars, but lyrically, his songs are filled with more honesty than a bachelorette party a few drinks in. Bryant, a modern day Man in Black, if you will, never shies away from what’s real, no matter how ugly or uncomfortable the truth may be. What we get on Practice What I Preach is the kind of songwriting that country music was built on. No stereotypical clichés—only stories of life, love and loss that are made even more captivating by Bryant’s deep, Georgia accent and vocal strength. “He makes things very easy and very difficult at the same time,” Triplett says of Bryant’s vocals—easy, because his vocals are on point and give Triplett room to push beyond his comfort zone, and hard because he makes even sub-par songs sound good. 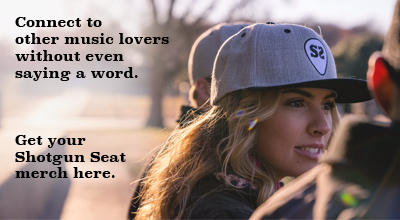 “You have to really have your ears open when choosing songs,” Triplett says. When it comes to the song selection on Practice What I Preach, not a single track is skip-worthy. Between the four songs he co-wrote himself and the eight written by his equally gifted songwriter pals, Bryant’s personal connection to each track is felt through the passion in his vocals. Though Practice What I Preach stays true to the country rock formula that the Georgia native has so obviously perfected, no two songs on the album are the same. For example, despite the outlaw-rock aesthetic of both “More Than One Year” and “25 in Jail,” the former boasts a bluesy sound while the latter takes on a twangy, honky-tonk rhythm. Meanwhile, “Wrong Way Home” and “One More Night with You” are coated in a Jason Aldean-style flavor that definitely tastes like potential radio success. And of course, we also find Bryant tackling more difficult subject matter on songs like “Hot Mess” and “Bring You Back.” Written by Bridgett Tatum and Kimberly Kelly, the raw reality of “Hot Mess” resonated with Bryant, as it reminded him of his own mother and her struggle to provide for him and his siblings. “I felt like it was a good time for someone to say thank you to all those mothers out there that are less fortunate, but they give their all to their kids and family, and somehow make it happen,” he says. Penned by McCubbin and Carson Chamberlain, “Bring You Back” paints a devastating picture of what it looks like when we lose a loved one, as our narrator is haunted by their final memories together. On “Sometimes I Pray,” co-written with Josh Phillips and previously featured on his 2017 Unplugged Vol. 2 EP, Bryant details his difficulty in coping with the passing of his mother: “Because that song was written about my mom, I just felt like I had to give it some more life and see where it goes and completely redo it.” The song also includes the first guitar solo Bryant has ever written.